Machine Gun, 5.56mm, M249E1; and Rifle, 5.56mm, M16A2. 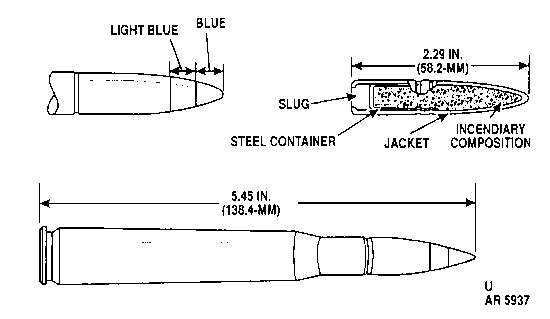 The cartridge is intended for use against personnel and unarmored targets. BALL Cartridge. 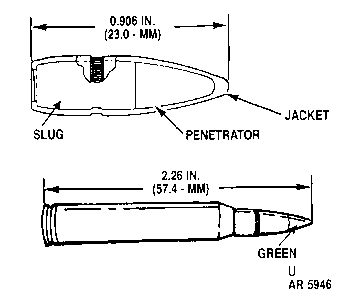 The cartridge is identified by a green bullet tip.